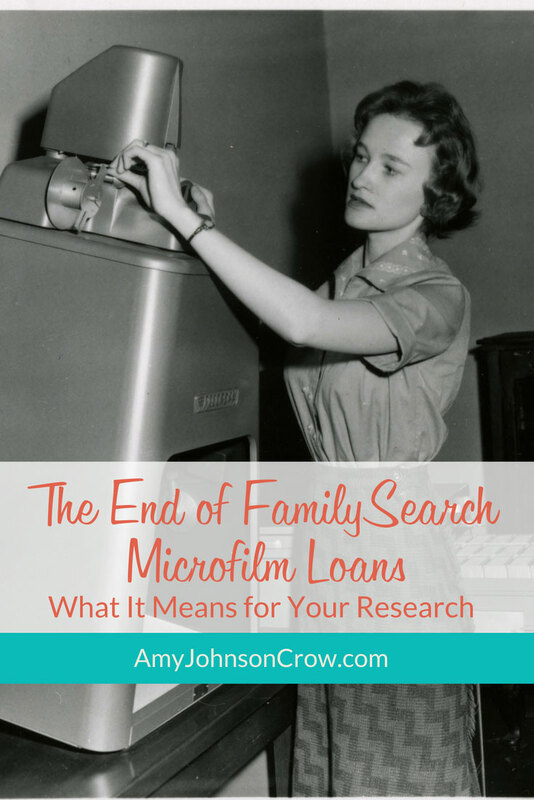 On June 25, 2017, FamilySearch announced that it will end its long-running microfilm loan program. After August 31, they will no longer accept requests for microfilm to be sent from the Family History Library in Salt Lake City to the local Family History Centers or affiliate libraries. Here's what that could mean for you and your research. For decades, genealogists have used the microfilm loan program to get microfilm sent from the Family History Library in Salt Lake City to their local Family History Center or an affiliate library. That all ends as of September 1, 2017. FamilySearch has digitized 1.5 million of the 2.4 million rolls of microfilm that are held at the Granite Mountain Vault. In their announcement, the plan is to have the remaining microfilm digitized by the end of 2020. Why Stop the Loans Before Digitization Is Complete? So, why end the microfilm loan program now if digitization won't be complete until 2020? There are a couple of factors at play. The first is the scarcity of blank microfilm. There is only one manufacturer of it left. Borrowing a roll of microfilm through FamilySearch isn't like borrowing a book from the library. Your library (or another one if you're using interlibrary loan) would take the book off the shelf so you could borrow it. That would mean that book isn't available for anyone else to use. FamilySearch, however, makes a copy to send to the Family History Center or affiliate library. The second reason is economics. The cost of a blank roll of microfilm is $85. Considering that FamilySearch charges only $7.50 per roll to borrow, you can see how the costs quickly add up. FamilySearch alluded to the shift to digital as being one of access. When an image is online, it can be viewed by anyone with access to the Internet, whereas a microfilm can only be viewed by one person at a time and only in specific locations. What About the Film Already at the Local FHCs? According to the announcement, "When approved by priesthood leaders, centers may continue to maintain microfilm collections already on loan from FamilySearch after microfilm ordering ends. 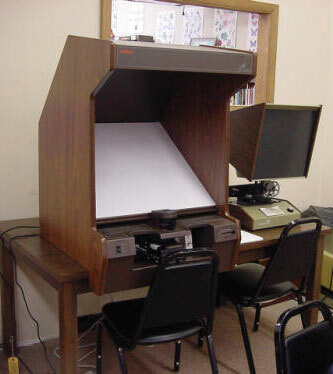 Centers have the option to return microfilm that is available online or otherwise not needed." What About Images That Are Currently Available Only at the Family History Library or a Local Family History Center? I contacted Paul Nauta, Public Relations Manager for FamilySearch, to ask him about future access to restricted films and images. According to him, there are no films that are currently limited to the Family History Library in Salt Lake City, but there are films that are restricted to LDS Church members and others that can only be viewed in a Family History Center. Nauta added, "As we digitize remaining films or other content, anything that has viewing restrictions will be available to view in a Family History Center using the Image Viewer found in Family History Centers' desktop computers." So what do we do between now and the time when the rest of the microfilm has been digitized and put online? There are some researchers who are going to get tripped up in this, unfortunately. I feel for those who are working on a big project that is dependent upon rolls and rolls of FamilySearch microfilm. There are going to be some bumps in the road as the remaining film is digitized and put online. There will be researchers who will have a tougher time until this project is complete. However, I see this overall as a smart move by FamilySearch. The cost of the loan program is enormous. Though they haven't come out and said so, I suspect that it ends up impacting the amount of money they can spend on digitization efforts. By ending the loan program now, they can focus on digitization and making more of those microfilms available to everyone, not just those who can get to a Family History Center or affiliate library. That would mean that more records become accessible to more people more quickly than if they tried to maintain both the loan program and digitization. 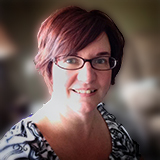 This entry was posted in FamilySearch and tagged FamilySearch, microfilm by Amy Johnson Crow. Bookmark the permalink. It would be nice if they would focus on index reels like indexes to deeds for digitization. That way we could at least know where to look for a deed at the county level, and if there is even a deed to begin with. I could never get to a local family history library anyhow so I am excited it will all be on line. Change is always hard but for me there is no change. Read the article again. Some records will only available for use at a family history library. That’s inconvenient for all of us, but it is what it is. True, but those are just the records that would only have been viewable in a Family History Center or in Salt Lake City before. For those records, there isn’t any change. Living in Arkansas since 1976, I have done the bulk of my research on FHL film ordered in to my local Family History Center where I worked for years as a volunteer. I searched records of New York, Mass., RI, CT, NH, VT, Pa., MN, Ill., AL, Quebec, Ireland, England, Germany, Sweden. I have also traveled a bit here and there to various repositories, but I find I have done considerably more research than most, if not all, of my genealogical friends. I owe this to LDS. A large amount of the permanent loan film and microfiche at the Little Rock FHC was ordered by me. I am especially sorry to see the end of the film loan program because most of the films I try to look at online are restricted to use at the FHC. And sometimes when I try to look at it at the FHC I also am denied. It is very disheartening. But I understand their reasoning. Thanks for letting us know. I volunteer at a regional (large) Family Search Library in Las Vegas. We have a special scanning section in our building and today passed the one million mark on images in our current scanning project. On another note, our microfilm readers are breaking down and we cannot get them repaired. Parts are scavenged but sometimes the machines just can’t be fixed. There’s a lot that goes on behind the scenes that many users don’t know. Contracts have to be renegotiated now for digital images. Sometimes the entity that approved microfilm images may not sign a new contract for the digital images. As Amy Johnson Crow said in her great Facebook video, genealogists are not always patient. We are going through a time of transition. 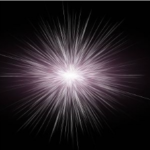 Personally I am grateful for all the past work that I benefit from. I am not LDS and am known as a community volunteer. We have a website. Come visit us when you come to Vegas. I run an FamilySearch AFFILIATE library in a public library and wonder if the AFFILIATES will gain access to the image viewer currently only available in the official FamilyHistory Centers? The information I read seemed to indicate that AFFILIATES will have some increased service opportunities. Does anyone know? Stephanie — I wish I had an answer to you about that. I recommend getting in touch with your contact at FamilySearch. I hope the affiliates get greater access. The FHC libraries in my neck of the woods are not conveniently located. I was at DC’s DAR library to search digitized records and was disappointed to learn about their restricted access. Fingers crossed! Thanks very much. I hadn’t known the microfilm loans were ending. I found the digitized records so much easier to use, so it’s great news that FamilySearch will continue to digitize records and make them available online. Thanks for the info. When I first saw the announcement, I knew that you’d be along with some sensible explanations so I was looking forward to this post. Now for my purely selfish outlook. This really hits me hard because I am not Mormon, and I have only recently begun to use the FHC and an order of microfilms to search my father’s very elusive ancestors. I suspect that the digitizing goes in order of the broadest interest, and since one of the sources I am looking at is a family history of a family that is relatively small, and not many people seem to be researching it, I have no hope that it will be available on line at any time soon. Likewise, church records of small German immigrant churches in the 18th century are difficult to come by any other way. By 2020, I’ll be over 80, and who knows whether I’ll even still be doing research. If I were younger, I might treat this with insousiance, but I’m not younger. Just when I was filled with gratitude for the services of Family Search and the FHC, I feel like I’ve had the wind knocked out of me. I still am incredibly grateful for the information made available and the work of volunteers. German churches are coming more online everyday, whether through FamilySearch or Ancestry (who has a *big* push into German records). It isn’t as hopeless as it seems! Amy, the number is actually higher. That’s what happens when you’re typing quickly from your phone! Thanks for the correction, Peggy! At a cost of $85 per roll for blank microfilm (plus the cost of maintaining microfilm equipment0, I don’t see how it’s economically viable for them to keep loaning film. What great genealogical library in Denver would that be? That would be the Denver Public Library. You can also get access through their website, denverlibrary.org. I don’t drive, so learning that Family Search will be available on line makes me very happy. There have been many times when I’ve been excited to find that Family Search had information that I’d love to look at, only to discover that it was only available at their regional sites. I look forward to seeing what becomes available – this is 2017 and it always seems to be that EVERYTHING should be digitalized!!! lol. There still could be records that have restricted access, where you can only view them at a FamilySearch Library/History Center. That’s my minor pet peeve now, because while there is a facility in my city, it’s difficult for me to get there due to being a full-time caregiver for my dad. But I do understand that the restrictions are dependent upon the contract FamilySearch has with the records owner. My take away is that we as a genealogy community need to index more so that the digital records will become available faster for all of us to use. Indexing is awesome and I encourage everyone to volunteer with FamilySearch Indexing. However, FamilySearch has numerous online collections that are not indexed. You have to browse through the images (like you would with microfilm), but they’re there. so for us who live overseas, this is the best news yet! No more long waits for the films to arrive, then making sure you have been through everything that may relate to your families interests ( and who knows what name will be leaping off the page once you get back another generation–too late, the film has already gone back!) Hurrah for progress! The Family History Center in my area is defunct. Neither of their readers worked anyway. I had the same experience. They didn’t have any films on site that I needed and nothing worked. You couldn’t print, save to a flash drive or email it to yourself. I tried saving something on fold3 to my Ancestry account, but it didn’t work. I’m now thinking of taking a 1 week trip to SLC & just spending the time there getting what I need. I admit I am one of the impatient genealogists. Exactly zero records are online (anywhere) for the country my husband is from, and I live no where close to Utah, so ordering microfilm is the only way to do genealogy for him. I find the 3 year wait between stopping the service and all the records to be digitized annoying because now I have to stop all work on his line in the meantime. But, I understand the reasons and have no choice, so I guess I’ll just have to wait. I am glad that digitizing is so close to being done though. That has to be frustrating, Desiree. Maybe someplace else will get some records online in the meantime. For example, Ukranian research just got easier with a new website with records from 1650-1920. Don’t give up hope! the thing is – have those records been filmed at all? Not all records everywhere have been, you know, so if they have been, give thanks for that — then at least you know they will be available on line eventually. And in the meanwhile, if you haven’t done so already, you still have the option of ordering the films before August 31st & keeping them on indefinite loan at your local FHC until they are digitized. I really, REALLY hope the FHL will add more features to their catalog search. Not being able to tell if something has already been digitized, not to mention if you have access to it (being at the FHL, a FHC, being a church member, or just a member of the public on your home computer) without drilling down multiple layers on each item is incredibly cumbersome and frustrating. It’s what programmers call a “user hostile interface”. There are many sites that allow you to filter searches by “images online” or everything, so it is doable. It would also make it easy to create a “to do” list for the next trip to the FHC, and probably a more accurate list, at that. Also, I have tendinitis from years of doing genealogy on computers so doing away with all those extra “clicks” would be great. I can’t be the only one with it. what type of records are they talking about that are only viewable at the center? It’s a variety. It depends on the licensing that they were able to negotiate with the entity who owns the records. I tried to look up some NY birth records and I got that message (about only veiwable at a center). Is there a way to keep up with the upcoming digital records so that we can know when records are digitalized. Often your lists are late in keeping up with the process. 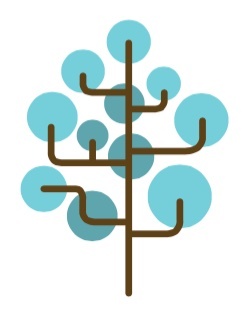 The FamilySearch online collections page https://familysearch.org/search/collection/list and their catalog https://familysearch.org/catalog/search would be the places to look. Thanks for the shout-out, Jana! Good Afternoon: We are still awaiting a response from Family Search Support on what the status will be for borrowing library affiliates such as Fort Myers Regional Library in terms of our LDS films that were sent here by patrons who paid for extended loans with no specific return date for the $18.75 fee. Thus far, all the announcements have pertained to Family History Centers but nothing pertaining to libraries. 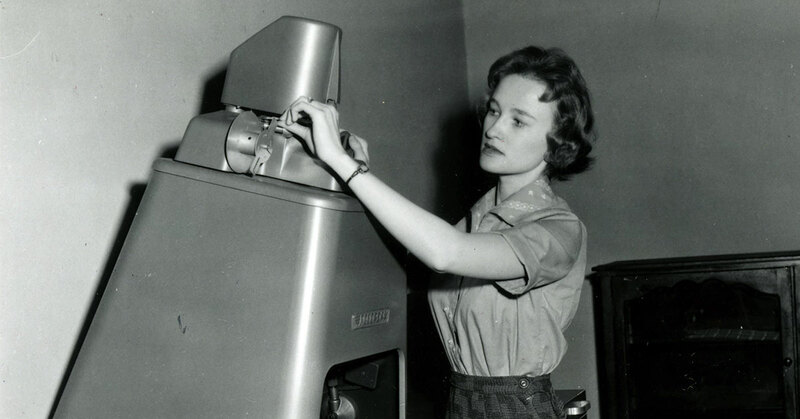 Judy B Russell, the editor of the Legal Genealogist has just published an article on the following link http://www.legalgenealogist.com/2017/06/29/the-end-of-microfilm/. This article goes into more detail than the original explanation shared in a previous email. We will continue to keep you updated on whatever details are finally released about the library affiliates. Feel free to share with any interested parties. P.S. None of the few remaining Family History Centers in this region of Florida permit non-LDS members in their facilities so for most of our patrons, they are useless as a source for restricted records. Family History Centers are supposed to allow everyone to use those facilities, regardless of church affiliation. Hopefully, it is just a matter that someone misinterpreted something. If they are actually turning away non-members, I would recommend reaching out to your contact at FamilySearch to see what can be done. I wonder what this will (eventually) mean for other outlets that loan microfilms, such as state historical societies. I’ve borrowed a couple of microfilms of newspapers (and hope to be able to borrow more) and much appreciated the opportunity to find obituaries and other new stories about family members. I’m afraid the problems described in your post and among the comments (lack of film, failing machines, etc.) may end up affecting these groups too, who often don’t have deep pockets and other resources to independently digitize records. I really appreciate your generous perspective. I’ve known this was coming for several months now, so the announcement didn’t surprise me a bit. But I have been surprised by some of the reactions to the announcement. I understand that some individuals will be inconvenienced for a period of time, but I hope everyone will come around and focus on the fact that FamilySearch works hard to provide so much, to so many, for free. Additionally, the last few films I have ordered, were digitized before they were reproduced and sent to BYU, and I got a call telling me to find them in the catalog within a few days of ordering the film. I think we will see this trend continue at a record pace. What I don’t understand, if the LDS is digitizing the records on microfilm, why would some be denied or kept only to The Centers? It depends upon the licensing they can get from whoever owns the originals. They may not want to have the images freely available to anyone with an internet access. Some time ago I could read their digitized books online and now I can’t. What is going on? Are you missing the same book that you had access to before? I have looked at a couple that I had seen months earlier and I can not read them now. Says I don’t access to them now. I live in a small town and the Family History Center rarely opens during their posted hours. I went for five weeks and found the doors locked. When I went on a Wednesday night I found the computers so slow that I thought I was back in 1995. The people said it is because the computer’s memory is full. They don’t seem to have anyone to make sure the equipment is functioning. I find it frustrating and have decided not to volunteer any more of my time and not be able to access what I need. You might want to check at your local public library to see if the are a FamilySearch affiliate. Affiliates have access to the restricted digitized collections.